A school teacher in Pecos, Texas, pleaded guilty to federal charges in a wire fraud scheme involving the hiring of Indians nationals to teach in the United States. George Mariadas Kurusu, a 58-year-old Indian national and a Fort Stockton Independent School District teacher, appeared before United States Magistrate Judge David B. Fannin Jan. 19, pleaded guilty to two counts of wire fraud; one count of fraud in foreign labor contracting; one count of tampering with a witness, victim or an informant; and, one count of making a false statement on a visa application. Kurusu faces up to 20 years in federal prison. He has remained in federal custody since his arrest in May 2016. Sentencing has yet to be scheduled. 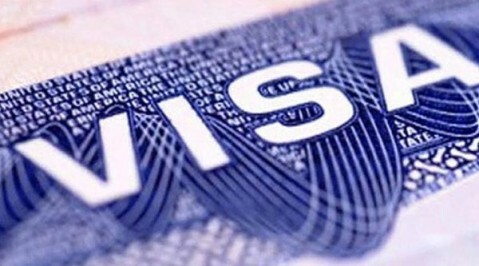 By pleading guilty, Kurusu admitted that from December 2012 to May 2016, he defrauded several individuals out of more than $50,000 for a “visa package” provided by a company he owned which promised H1-B visas, teaching jobs, and the maintenance of those jobs and visas for his victims. Himself an H1-B visa holder, Kurusu established a separate business, Samaritan Educational Services, for which he personally obtained financial benefits in violation of his visa. Kurusu also lied on an application to renew his visa, according to a press release from the U.S. Attorney for the Western District of Texas. Kurusu began putting advertisements in a newspaper in Hyderabad providing services for a fee to those looking for teaching positions in the U.S. He led them to believe that they had to go through his business in order to both get a visa and a job, making himself the middleman between the applicant and both the State Department and the Fort Stockton School District. He had the victims pay large fees on the pretext they were solely to be used to complete paperwork and none would go to him. Instead, he paid the nominal fees and pocketed the rest. Kurusu ordered the victims not to mention to the State Department they enlisted the services of Samaritan and not to contact the school district authorities directly, but only through him. When the victims arrived in the United States, in particular within the FSISD, Kurusu had them set up a bank account and an Electronic Transfer of Funds where 15% of their monthly paychecks, before taxes, were wired to Kurusu’s Samaritan business bank account. Kurusu advised the victims this was for consulting fees, then later for his “services” to make sure they had continuous employment and to maintain their visas– two things of which Kurusu had no control. When the victims began questioning the arrangement, Kurusu warned them that if they did not pay, they would lose their jobs and their visas; and again, advised them not to contact school authorities otherwise they would jeopardize all H1-B visa holders in the district. The FSISD was unaware of the Kusuru’s scheme according to the press release. When Kurusu came to know he was being investigated, he told victims not to talk to law enforcement otherwise all the other H1-B visa holders in the district would lose their jobs, lose their visas, and be deported.